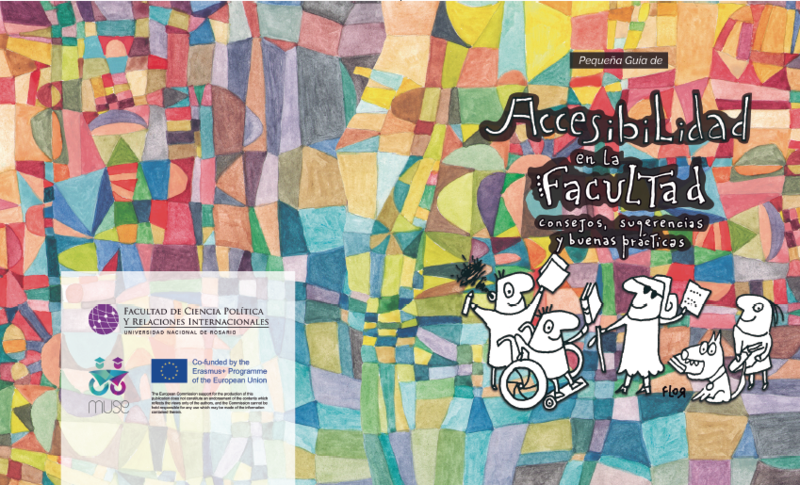 In the National University of Rosario (UNR) the "Small Accessibility Guide in the Faculty" was presented, a compendium of suggestions for interaction with students with disabilities that seeks to bring to the university community the different ways of communicating and interacting with all the people, as a contribution to their inclusion in the public university. The publication, illustrated and designed by Rosario artist Flor Balestra and graphic designer Joaquín Paronzini, emerges as one of the products of the MUSE Project. Dissemination is a key factor for the success of this initiative, which promotes recognition of the importance of guaranteeing the right to education of students with disabilities in universities.